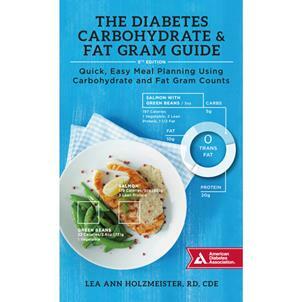 The best-selling nutrition reference The Diabetes Carbohydrate & Fat Gram Guide is back! In the fully updated 5th edition, diabetes nutrition specialist Lea Ann Holzmeister, RD, CDE, provides complete nutrition information for thousands of food and menu items! From fresh produce to fast food, prepackaged/frozen meals, and even gluten-free foods, all types of foods are included. Each entry lists the serving size and values for calories, carbohydrate, fat, sodium, and other important nutrients. This comprehensive resource has all of the information you need—straight from the diabetes experts—to make eating with diabetes easier than ever! Nutrition information for name-brand foods, fast food, alcohol, meat, poultry, seafood, grains, pasta, desserts, and much more!